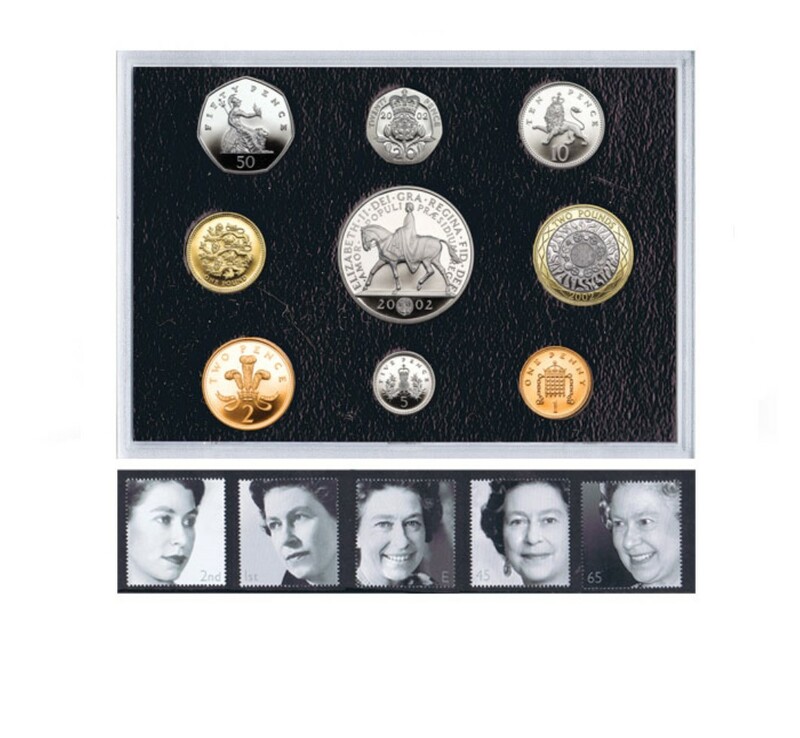 Hattons of London are pleased to announce the availability of a very special collector’s set – The QEII 1953 Coronation Coin and Stamp Set. This is an unusual opportunity: these are after all coins and stamps that are over 65 years old. However, a determined effort by the Hattons of London heritage specialists has meant they can now offer this set to new customers. 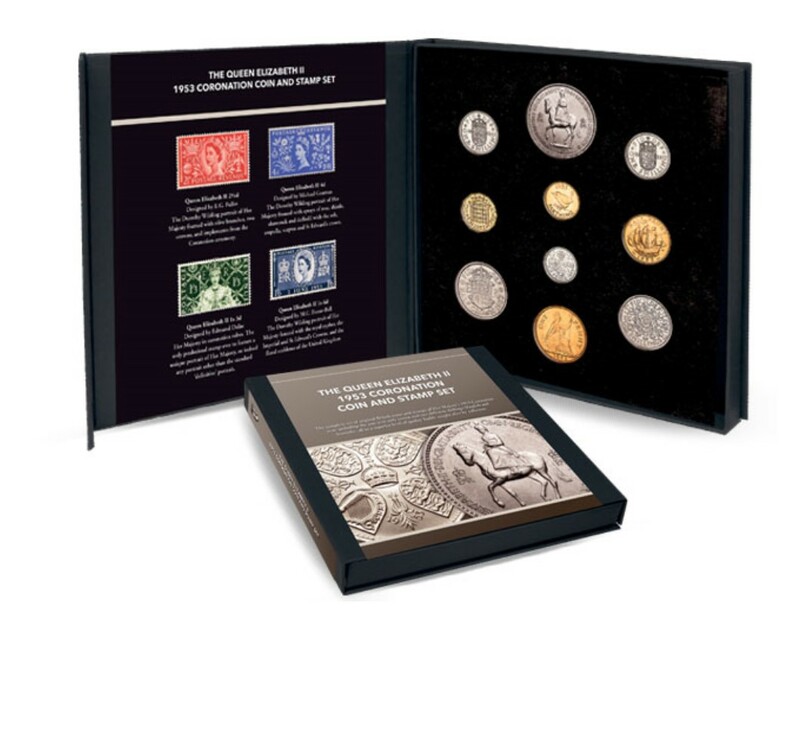 What makes this collector’s set special is that it is complete: it includes all ten British coins issued in 1953, and all four commemorative stamps issued for the coronation. Many of these coins and stamps are important collector’s items in their own right, but they take on added significance as a set. The crown for example, is the first of Her Majesty’s reign and was only issued for 1953. It features an ‘Equestrian Portrait’ of Her Majesty on horseback, rather than the usual facial profile. 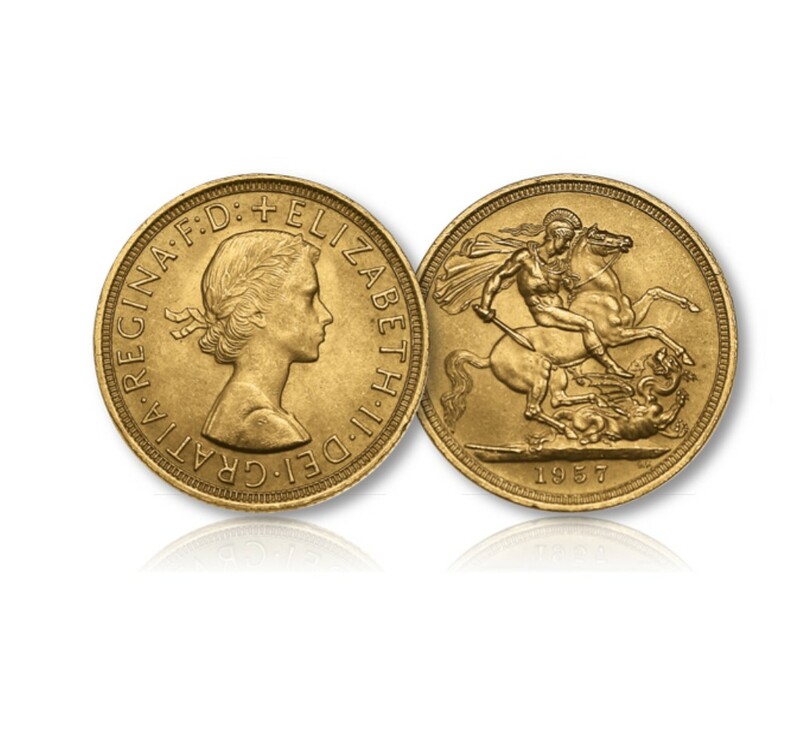 This is the first of only three occasions on which Her Majesty has been depicted this way on our coinage. It also includes both types of shilling: many people today would not be aware that there were both English and Scottish design shilling coins in the predecimal era. The 1953 Halfcrown, Florin, both Shillings, Sixpence and Threepence were all new designs never seen before, making each of these coins the very first of their kind. In fact, all the coins are special. 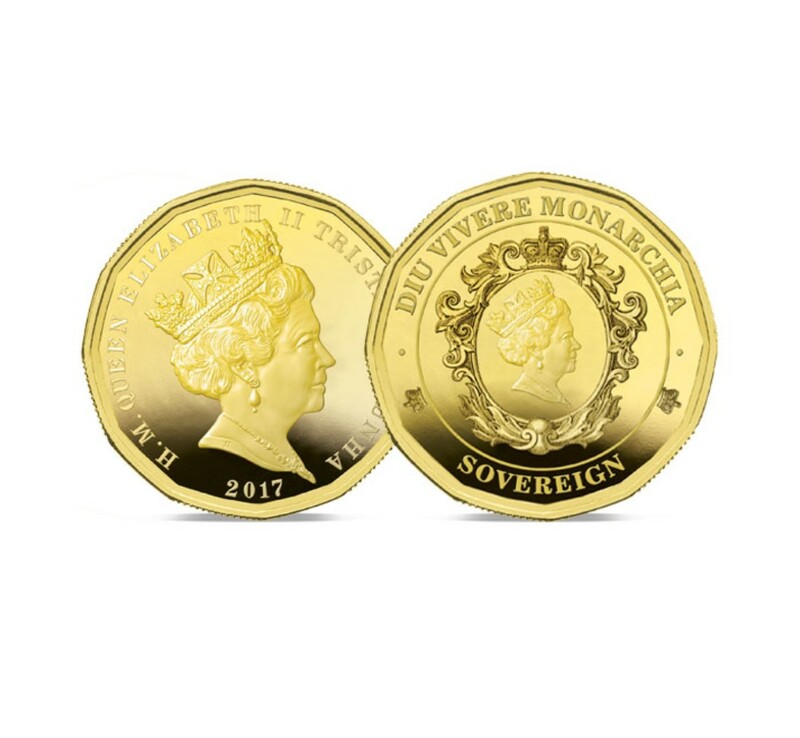 The crown was a one-year issue for the coronation itself but all the remaining nine coins are also what is known as one year types: that is, their design was only issued for one year. This is because in Her Majesty’s titles were changed and this meant that the coins of 1953 are the only types ever to feature the original royal titles. As for the stamps, while all of them are one-year issues, one of the four designs is even more remarkable. The one-and-threepence stamp features The Queen face-on, and it is the only British stamp ever to depict her this way, making it an important portrait piece. Put all these coins and stamps together and you have a set that is worthy of a place in any household: even non-collectors will be impressed at this set of original heritage British coins and stamps which celebrate the start of what is now the greatest reign in British history. Many also like this set as a way to preserve the memory of ‘old money’ and the beautiful designs of a bygone era. However, as you would expect for a set of sixty-five year old originals, only a limited number of sets are available. 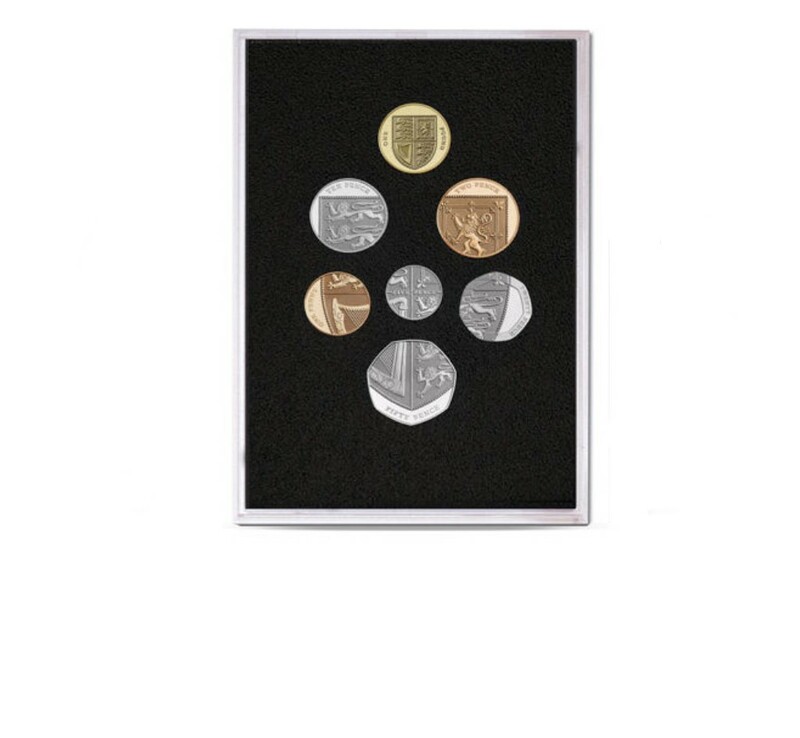 All ten coins in each set are hand selected quality and are virtually as good as the day they left the mint over sixty-five years ago! The stamps are in mint unused condition – with no unsightly postmarks obscuring the design. 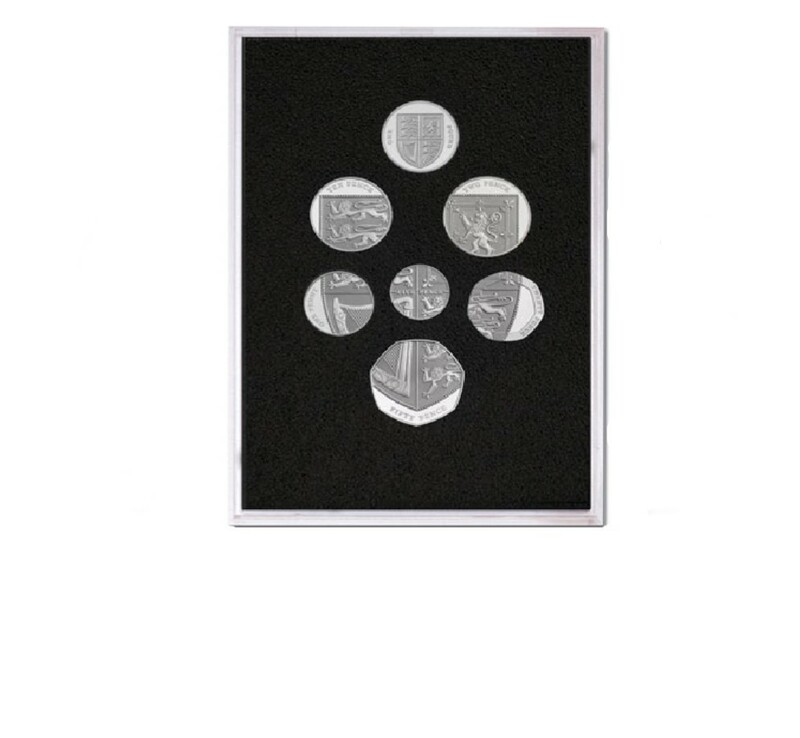 To protect their quality, the coins are housed in see-both-sides capsules and the stamps are in clear-fronted holders. All of this means you can enjoy the quality of this set without the need to handle the actual coins or stamps themselves. Crown, Halfcrown, Florin, English Shilling, Scottish Shilling, Sixpence, Threepence, Penny, Halfpenny and Farthing.